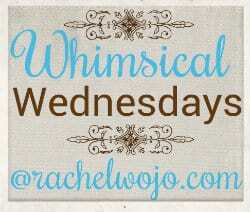 Hey Friends- Whimsical Wednesday is here once again! I’m so glad you’ve stopped by to join the blogger link-up party where you will find nothing but 100% Christian encouragement. You are so faithful each week to join in our community with wonderful posts on a variety of topics and I’m glad you are here. Can I ask you for a favor? Would you be willing to leave a comment and let me know what makes you want to give up more than anything? Is it circumstances beyond your control? Life just seems too hard? The realization that the goal needs adjusted and you don’t want to adjust? What is it that makes you want to give up? 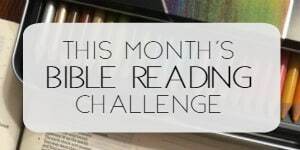 If you’re so bold, then I’d love to read about your goal as well. I plan to choose link-up posts from those who comment to share via my social media sites today; our community here is all about encouraging one another and I truly believe it’s a gift to encourage you! But I want to read your answers to the questions, whether you are a blogger or reader or both! Just about the only thing that makes me feel like I want to give up is exhaustion….it creeps in slowly after days on the go. The only way I have of restoring my perseverance is to take a day off the planet and totally rest in Jesus, in His Presence, in God’s Word, in Bible Study or a devotional, with some worship music and prayers and maybe a blog post or two. The goal is to seek my Lord, with all my heart, soul, mind and strength; to find Him and pray to Him with the hope and confidence that He will hear me and answer me. Praise God! oh Mary- I agree. I am working very hard to keep life at a generally slower pace, reigned in from every “yes” answer so that I can stay close to Him. What makes me want to give up the most is when circumstances seem to repeat.However I have faith the size of a mustard seed and refuse to give up because I know that with GOD all things are possible no matter what your circumstances look like. My goal in these moments is to take the long term view and remember I may plant a seed but it is the Lord who makes it grow! Hi Rachel, I’m feeling good today but what has made me want to give up in the past was the isolation that came with being a new Christian in a non-Christian community. When people I spoke to about Jesus stopped talking to me. When my kids’ dad said he would take legal action because the “Christianity thing” was getting out of hand. Now I’ve grown in Christ I know no weapon formed against me can prosper. When you are a baby in the faith, though, you feel like you’ve been kicked in the gut. Repeatedly. Good morning! What makes me want to give up is IT just seems too hard, whatever the IT is at the time. I suffer from Major Depressive Disorder, so being overwhelmed by basic tasks is part of my daily life. But my goal – soak myself in the word and presence of Christ, and pray for the ability to break IT down into small, manageable tasks, then pray for the strength to follow through. I am slowly conquering IT through my perseverance and the strength of Christ in me. There have been times when life has been very overwhelming. This can be due to a significant loss, exhaustion, seeming inadequate in the workplace or a combination of all. Feeling like giving up can come in those moments because my focus is on what I cannot do or accomplish and I feel like I cannot see the light through the dark. However, anytime I start to become overwhelmed, God has stepped in because my heart is open to His love and grace. 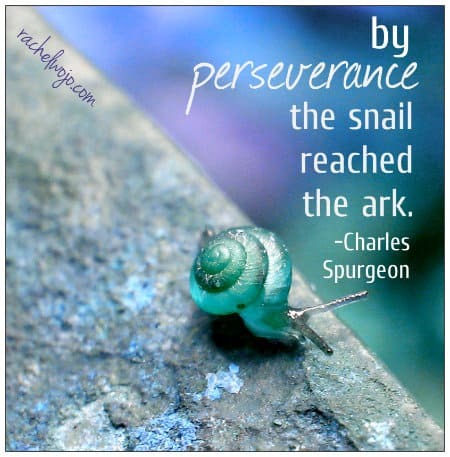 God has taught me mightily about perseverance these last several years. When my possibilities have felt impossible, God’s promises have met the impossibilities head on and where the two meet, perseverance springs forth. Many blessings today, Rachel! Thank you for the weekly link up! What makes me want to give up is FEAR. Afraid to fail or what if this happens or that?! Then I just give up on the idea. Even if it is something that I’ve wanted to do my whole life…I really need to work on this.. Right now my husband and I are trying to have a baby. We have started some fertility treatments with not a lot of success. I feel like giving up sometimes but my desire for a baby and knowledge that God will provide keeps me going. God will make a way, Kerri. Perhaps not in the same way our human eyes will see it, but He will provide. Draw close to Him; He loves you so much!! My heart breaks for you and Jesus, I pray for Kerri right now. God I pray that you would provide for her in only the way that you can and that she would see the blessing in your provision. I pray that your grace and mercy would flow over her as she waits for your timing and answer. This sort of came easy to me. My little thing that makes me want to give up/throw in the towel, is definitely lack of sleep/exhaustion. In thinking back over the course of my life, the times I have most felt like giving up is when I have been hurt deeply by people that I thought loved or cared about me. Feeling rejected or abandoned has made me want to give up. But I am so grateful at those very times, the Lord quickly (and I mean quickly) reminded me of His love, His faithfulness, His grace, His mercy & gave me the push that I needed to continue & not give up. 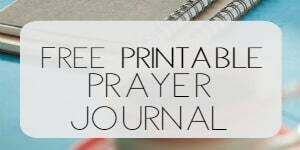 I love your printable today! It truly is something to think about 🙂 Blessings! I guess the biggest thing that makes me want to give up is when people don’t stand up for me, when I have cried out to them for help! I have had a desperately hard & painful life these last 18 years or so. I was in a very abusive marriage & I pleaded counselors & pastors for help, but they didn’t. Now I’m out of that marriage because my husband started a relationship with a dif woman & now I’m pleading for my children’s safety but again the same counselors & pastors still turn a blind eye. But thanks to God I have been sent 2 unlikely sameritens who are trying to help us! So even though I feel like I’m drowning in the grief of all if this, I’m hanging on to hope that God has given me through them, desperately praying God favours us in court next Tuesday. My children an I live with an alcoholic my husband. I can’t afford to live on my own right now but I am believing God is going to make a way where there is no way. Somedays it’s so awful an the possibility of getting out seems impossible. I feel like giving up. But I know for my kids sake I can’t. For me, I want to give up most when I get lost in the here and now. Losing site of eternity and how brief this life really is makes me want to scream, “forget it! It isn’t worth the effort.” But, of course, it is worth it. I just have to realign my perspective. Excellent advice- “realign my perspective.” So good, Kristin. I am a recovering control freak, so giving up things that are beyond my control are SO hard. I just want things done in a timely manner. Is that so much to ask? It drives me crazy to wait. It’s called having faith…but it can be so hard too. What makes me what to up is the feeling of having to be strong for everyone, my children, husband and rest of my family and receiving the same in return. My faith keeps me going, as well as knowing that everything I work hard for is not to benefit myself, but to ensure that my kids have all that they want and need. Being a full time mom/wife, student, and employee can be crazy and hectic, but will be worth it in the end. I want to give up because I feel like I am fighting this battle alone. I’m exhausted and run down. I just don’t see the light at the end of the tunnel. Why can’t I just let God be my life raft?–I’d never sink then. For me its a combination of being exausted and realizing life its very hard. I keep praying but sometimes I juts feel like nothing I do will make it better. I worry a lot about raising good, humble chidren who will know and follow Gods path…..
Donna- I am so sorry for your loss. Words just can’t express how you must feel. I’m going to send you an email with some resources in it to encourage your heart. Jesus, please be with Donna today and let her feel your love. We adopted 22 years ago, and we have adopted 3 years ago. I feel like giving up when I see the same behaviors indicating trauma that I had 22 years ago with my daughter. When no matter what I do the behaviors keep cropping up and the (especially ) oldest boy does not have a healthy attachment to us. I do have to remind myself that the Lord directed us to adopt these two little boys, He is directing me to learn things I did not know when we adopted the first time around, change takes time in me and in the boys, my job is to pray, do my best being faithful, love the boys even if it seems the love is not returned, and the final outcome is not entirely in my hands, but in Jesus’ hands. I am realizing more and more that all of the behaviors seem worse when I am tired. What makes me want to give up, more than anything, is knowing that I cannot do what I once could. Feeling like a burden to those I love is the worst that I struggle with. It is so very difficult to believe in my worth without being able to contribute in a real way. Why is that, do you think? Why do we have such a hard time feeling like just being is enough? My goal, which some days I feel closer to reaching than others, is to recognize not only my own value, but to help others in my situation to recognize theirs. oh so good, Shelly. Love your goal and your heart. Wow, everyone’s comments touched my heart, and my life, so much. Thank you Rachel for making this wonderful place for us to come, and thanks everyone for opening your hearts and sharing..
Perseverence. Sometimes I want to identify with Sisyphus …the King from Greek mythology who was “compelled to roll an immense boulder up a hill, only to watch it roll back down, and to repeat this action forever”(Wikipedia).. that is, until I read the fine print… that this was his punishment for being deceitful. I can’t (Thank you Lord) hitch my cart to that wagon. And I know that while the result might be the same, I more likely would be accused of the opposite, if there is such a thing. I am finally coming to realize (at the young age of 51?!) that it might be possible to be “too committed”, “too detailed”, “too comprehensive”, “too honest”????? How can that be? I was raised on not only the 10 Commandments but to value always “do my best”. Anything else was considered “settling” for less. And while those standards are admirable, I am just now beginning to get the idea that, maybe it isn’t realistic, let alone possible, for someone (okay, me), to maintain that kind of expectation in all the different ways that my life requires, or generate the energy necessary to sustain the effort involved. It’s been over a decade since I had to face “working through” the “my child is different and sometimes it hurts” factor of seeing your child’s path shift and change direction in a way that was unanticipated, unplanned, and, well… “Welcome to Holland”… At the same time that my daughter has turned 18, and as much as I thought I was well prepared, the requirements of her transition from childhood to adult status floored me with the realization of how very unprepared, and HOW far behind I am in the whole process. And then, oh, by the way, Welcome to Holland, again, as the reality of what needs to be done for my son starts to sink in. I am facing it again, I am unprepared, I am older, I have significant physical limitations, financial resources which imply that I have a “resource”, and there’s so much more. My beloved husband was injured 2 years ago and he is struggling to continue to work while in so much pain… and my heart cries as I see him beginning to comprehend all of the ways his life was abruptly changed… a journey that I have struggled with now for 10 years and would do anything to “take away” from him. And the thing is, that isn’t enough! I’m still strapped to the boulder (back to Sisyphus). 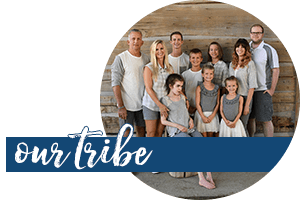 While obviously the needs of my family are a plenty to keep my days full, often that seems to take second seat to the demands of things that I cannot control. Many days I have wanted to just “give up”… but what to do when that IS NOT an option? Social Security, the Department of Developmental Services, Worker’s Comp, health care needs, trying to deal with the children’s father, Regional Centers, and School districts and more DON’T ALLOW THAT OPTION. And needless to say, they are not big on getting things done efficiently either. I want to let go of the things that keep pulling my attention, time, and effort away from my highest priorities’; God and my family but it seems that those are the very concerns that will not go away regardless of my effort. I am finally coming to the realization that I SHOULD NOT let these thing interfere with my priorities, that I CAN NOT do it all and take care of what is most important and that there has to be some way that I can find so that I DO NOT let “demands” come before the love and needs of my Lord and my Family. The first scripture I learned was “faith makes all things possible”. The scripture I live by these days is “hold fast…”! I came to Christ just under a year ago, and I Thank the Lord daily for all of his love, guidance and abundance, and for the gift of eternal life that he has given me. I am learning his words, and trying to make my day start and end with my bible or similar reading. Our pastor reminds us, “never more than 24” (hours without Bible time!) and yet recently the crisis level has ramped up to the point that I can’t always make that happen. I have probably rambled on for too long, and thrown out far more than what was asked. I apologize if I have put too much down here and thank you for your graciousness in reading it. Thank you and Bless You in Jesus’ Name. Bless you, Susanne!! Thank you so much for sharing your journey with us. It’s beautiful and wonderful and I’m grateful you took the time to share it. I love the “no more than 24” promise to God to be in His Word!! Oh Christie- I have a dear friend who has lived in pain for years and some days I just don’t see how she does it. Only knowing God can explain her joy. I love your precious thoughts of Jesus. May He continue to be your strength.